Two friends debate whether people leave their parking spaces faster if others are waiting. They decide to see if they can design a study to test their ideas. 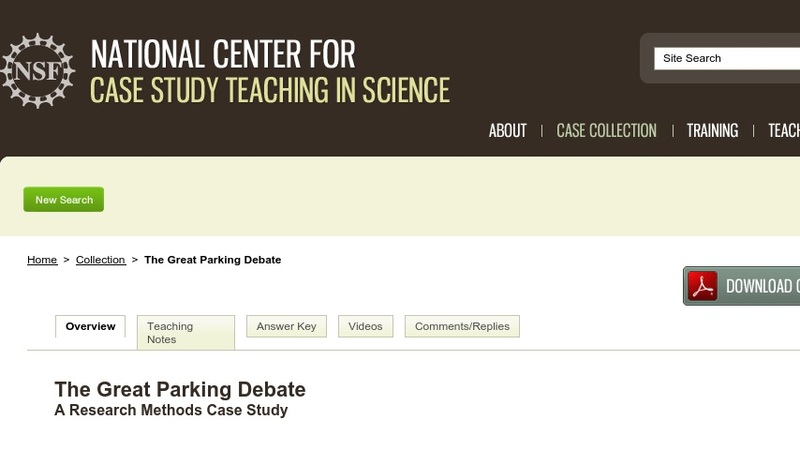 In this interrupted case study, students develop a research question and hypothesis and consider how to test a hypothesis. Students read about what researchers have done to answer the research question and identify and evaluate different research designs. Students are also asked to evaluate data. Developed for a use in an introductory psychology course to cover terms and concepts related to research methods, the case could be used in other introductory science classes, early in research methods courses, or in upper-level social science courses.